Rose Evelyn Ellis was born 23rd May 1908 in Islington. Her Parents were Henry James Ellis and Florence Sharpham who had married 7th May 1893. 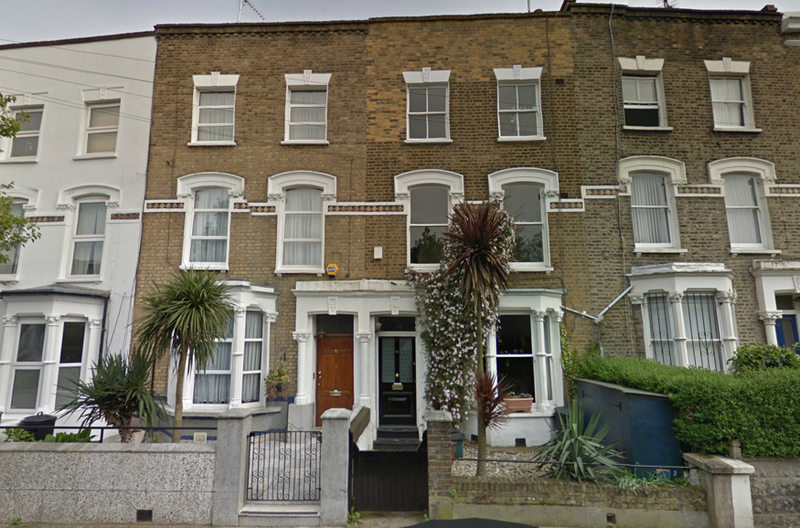 The family soon moved to 42 Barnsbury Street, and in 1904 moved to 48 Riversdale Road Highbury. By 1911 Henry and Florence had been married 18 years and had had 9 children of which 2 had died. The census below records members of the family from that date. The family moved around 1921 to 69 Riversdale Road. Two further children by this date had been born. Gladys Edith Ellis in 1913, and William E Ellis in 1915. The family lived here until WW2. Henry James Ellis died in 1940. 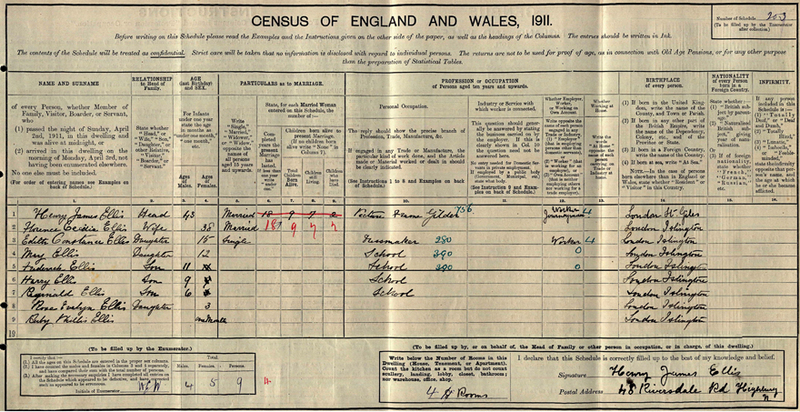 His daughter Rose Evelyn is shown on the 1938 Electoral Register below. She appears to be known as Rene thereafter. She married Rupert Musgrove in 1943. 69 Riversdale Road Highbury present day.